We liked the tournaments and promotions. TopBetta was founded five years ago in 2013 by Todd Buckingham and it is a betting agency with a difference. You can bet on all the usual racing and sports markets with TopBetta, but their betting tournaments are what sets TopBetta apart. In our extensive and impartial TopBetta review you will discover all the information you need if you are considering opening a TopBetta account. Here at AussieBet we give it to you straight and if you are thinking about becoming a TopBetta member you are in the right place. Lack of markets on sports. As we stated earlier, TopBetta was founded in 2013 by Todd Buckingham and they are based in Broadmeadow in NSW. 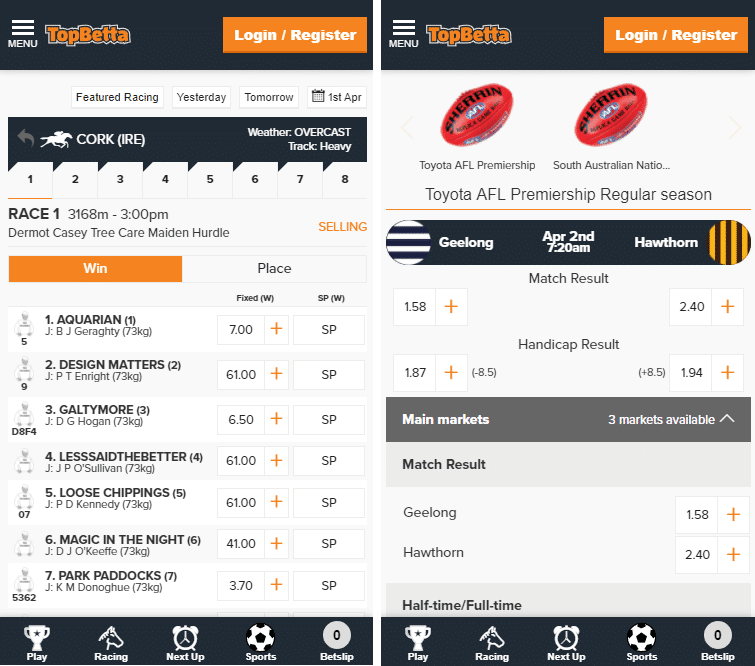 TopBetta Holdings also acquired MadBookie in April 2017, increasing their presence in the online gambling market in Australia. TopBetta was originally licensed by the Norfolk Island Gaming Authority, but since 2016 they are licensed by the Northern Territory Racing Commission. You can bet on all the usual racing and sports markets with TopBetta, although the range of sports markets is not as extensive as with some of their industry rivals. However, TopBetta’s unique selling point is their ‘Tournaments’, which allow punters to compete against each other rather than against the house. We will discuss the TopBetta Tournaments in more detail later on in this review. Due to the Interactive Gambling Act it is illegal for Aussie Bookies to allow live in-play betting online. Most bookies will facilitate in-play betting over the phone, but TopBetta do not offer live betting of any kind. Regular promotions for sports and racing are run too, and if you are on the lookout for a new bookie with a difference, TopBetta could be just the ticket. Sign up bonuses are the primary way through which betting agencies attract new members. 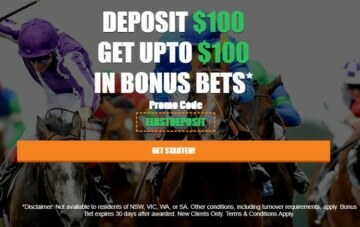 TopBetta are no exceptions and they will match your first deposit with a bonus bet up to a maximum bonus of $100. In order to claim you bonus bet you need to open an account and use the bonus code FIRSTDEPOSIT. Find out exactly how to claim your TopBetta sign up bonus via our step by step guide below. Bonus not available to residents of NSW, VIC, SA or WA. Enter the bonus code FIRSTDEPOSIT. Make a first deposit (max bonus $100). Your account will instantly be credited with bonus bets matching the value of your first deposit. You can use your bonus bets on racing or any other qualifying sporting event. Bonus bet is valid for 45 days from time issued. Bonus cannot be claimed by residents of NSW, WA, SA or VIC. * Other terms and conditions apply see TopBetta site for details. After a bookie has tempted you to join with a juicy sign up bonus they will try to keep you interested by offering various promotions and specials. TopBetta are well known for their innovative and original promotions, but we can't give you any details on them, as you might know already, promotions for existing customers are subject to change. However, once you register, and you log in, you will be able to see all TopBetta betting promotions on the promotions page. We do not have the liberty of discussing details on these offers because of the latest betting promotion advertising regulations. Sometimes even the best punters need a helping hand when it comes to finding those elusive winners. TopBetta’s Blog is a very useful resource with tips and analysis for horse racing, NRL, AFL and Big Bash Cricket. TopBetta’s experts aim to provide punters with an edge and the TopBetta Blog is a handy tool you can use to boost your gambling profits. As we discussed earlier, Live In-Play online betting is outlawed in Australia because of the Interactive Gambling Act. Most bookies display live odds on their sites, but you have to pick up the phone to place an in-play bet. However, TopBetta have no in-play odds on display and no facility to enable punters to place live in-play bets. This is a big negative, but if the situation changes you will find out about it here first. A lot of Aussie bookmakers now provide punters with the chance to stream live racing and sports. At the present moment TopBetta do not offer live streaming on any events. This is obviously a drawback, here at AussieBet we regularly update our bookie reviews and if TopBetta do start to offer live streaming we will be the first to let you know. The ability to bet on your mobile device or tablet anywhere at any time is possible with TopBetta. Whether you are an Android or iPhone/iPad/iPod Touch user, TopBetta has a mobile app for you. Even if you use a different device, like a Blackberry, Nokia or Windows Phone you can still bet on the move with the TopBetta Web App. If you use an iPod, iPad or iPod Touch you can download the TopBetta Mobile App for free from the App Store. It is 53.3 MB, iOS 9.0 or later is required and age restrictions apply. The TopBetta Android App can be downloaded directly via a link on the TopBetta site and it will operate on most recent Android devices. For other devices just visit TopBetta via your browser and you will be redirected to the TopBetta WebApp. 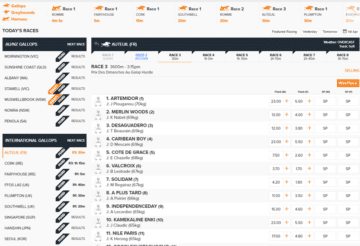 The App works well, looks slick and you can access racing and sports markets as well as TopBetta Tournaments. When it comes to betting on the move, TopBetta is one of the best bookies around. How Good Are TopBetta Odds? When you are weighing up whether to open an account with a betting agency, the quality of odds and depth of markets should be at the forefront of your thoughts. We compared the odds and markets available with both TopBetta and CrownBet for the A-League match between Brisbane Roar and Central Coast Mariners. When it comes to odds, TopBetta were far more generous than their rivals Crownbet. In the head to head market TopBetta had an over round of 105.61%, while for CrownBet it was 107.84%. That is a massive difference of over 2% and in the long run that can have a big impact on your punting profits. However, when it comes to depth of markets we found TopBetta to be well behind Crownbet. For the above named match TopBetta had a total of 29 different markets available. CrownBet had 121, over triple the markets on offer from TopBetta. So, for those looking for value TopBetta is well worth a second look, but before you sign up make sure they provide betting on the markets you prefer. The vast majority of Aussie bookies provide punters with the option of cashing out their bets early for less than they would win if they sat tight. Unfortunately, TopBetta do not have a cash out facility at the time of writing. For those who are hooked on horse racing, one of the most popular sports in Australia, TopBetta could be the bookie for you. They love their racing and this is reflected in their various specials they offer. They run a King of Cups tournament worth $200k on Melbourne Cup Day, and their GOAT SP offer is another excellent horse racing feature. You can place all the usually wagers with TopBetta including win/place/each way, but all bets are settled on one of the following Totes. You can place bets on the SuperTab (SUP), Top Tote from NSW/Tatts (TOP) or Best of 3 totes or SP (BO4). The big thing to note with TopBetta is that no fixed odds are available for horse racing. Betting is available on domestic and international meetings. 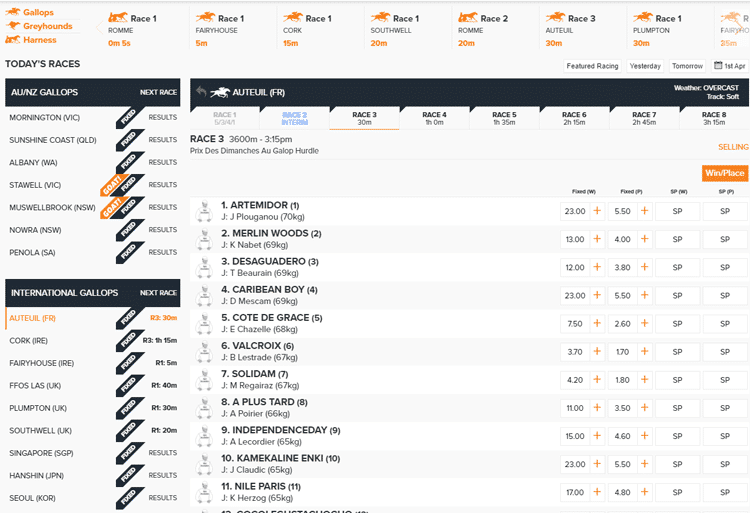 You can also place the usual exotic bets with TopBetta, including Quinella, Exacta, Trifecta and First Four wagers. The GOAT SP special is available on selected meetings only and we discuss that excellent special in more detail below. The lack of fixed odds is an obvious negative, but daily horse racing tournaments more than makes up for that. If you enjoy having a casual flutter on the horses, TopBetta has got you covered. Another key factor in determining your decision on whether a bookmaker is the right choice for you is the banking facilities. There isn’t much point in opening an account unless you can deposit and withdraw funds to and from it, and banking facilities are rather limited with TopBetta. Credit/Debit cards, POLi, BPAY and bank transfers can be used to deposit, while Bank transfers are the only way you can withdraw. Before any withdrawal can be made, you must verify your account. Find out how to verify your TopBetta account below. TopBetta do not allow customers to verify their accounts electronically. You must download a ‘Verify Identity Form’. This form must be printed out and filled in. Post the completed form to: TopBetta, 22 Lambton Rd, Broadmeadow NSW 2292, Australia. Accounts not verified within 45 days will be suspended. Most bookies protect themselves from bank busting pay-outs by imposing strict win limits. TopBetta certainly take no chances in this area and their win limits are amongst the meanest in the industry. TopBetta has a maximum daily win for any individual of $50,000. Regardless of the client’s total winnings for the day. 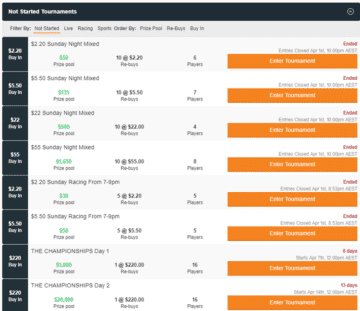 Maximum payout for any multi bet capped at $10k. Maximum legs allowed in multis: Racing-10. *Please check TopBetta Terms and Conditions other limits may apply. In all forms of business providing courteous and prompt customer service should be a priority. Poor customer service reflects badly on betting agencies, and it is an area TopBetta could improve upon as they have no live chat help service. If you have any queries or issues there are a number of ways you can get in touch with TopBetta and we list the relevant contact details below. Telephone: 1300 886 503 (no opening hours specified). Post: TopBetta, 22 Lambton Rd, Broadmeadow NSW 2292, Australia. Is TopBetta A Bookmaker You Can Trust? It is never easy to part with sensitive personal information and banking details when signing up with a betting company. For peace of mind it is always good to know that your prospective bookmaker takes security seriously. TopBetta does exactly that and we list some of the key processes they have put in place to ensure your information doesn’t fall into the wrong hands. Measures to preserve system security and prevent unauthorized access. Third party data storage providers may be used to store personal information electronically. At AussieBet we think the promotion of responsible gambling is extremely important. Gambling should always bring enjoyment, and if you are worried that your betting is becoming a problem TopBetta have lots of resources in place. We list them below. Allow clients to set a pre-commitment limit. Allow clients to self-exclude (either temporarily or permanently). A 7 day window applies to clients who request for the flag to be removed. Provide Responsible Gambling information and messages to members. Engage staff about Responsible Gambling training. Refer clients who are at risk of problem gambling to gambling-related support services. 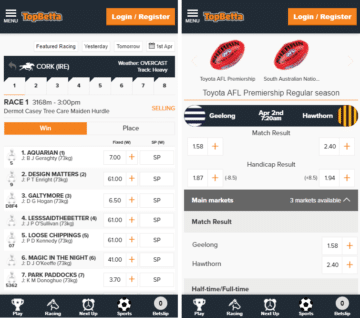 Overall, TopBetta is a 100% Aussie bookmaker that is worth giving a try. Okay, there are a number of negatives, including no fixed odds betting for racing, lack of depth of sporting markets and limited banking facilities. The inability to verify your account online is another slight negative. However, the big advantage that TopBetta holds over their rivals is the TopBetta Tournaments feature. This unique and original product makes TopBetta stand out from the crowd and some seriously big prizes are up for grabs every day. If tournament betting is something that interests you then TopBetta is worth taking a chance on.